The exhibition stand with an area of over two hundred and forty square meters shows a wide range of products for passenger cars and commercial vehicles. For the first time, an e-bike driveline will be on display which the Technology Group Rheinmetall is offering through its start-up company Amprio. The trade fair presence will focus on the latest developments for electric drivelines. Among other things, an electric motor housing and a battery tray will be featured, each of which to be produced locally in China by Chinese joint ventures of the Group. In addition to the cast parts used in electric vehicles, the supplier will also exhibit components for battery cooling as well as pumps and electric drive units. A heating/cooling module can also be seen as a component of the air-conditioning system of electrically operated vehicles. Equipped with a heat pump, it integrates existing units such as the drive motor and the generator as heat sources into the heat management system of the vehicle. Up to now, electric vehicles have mostly been temperature controlled by electric heaters, but this has a negative effect on the radius of action (range) and results in shorter operating cycles between recharging. Products such as exhaust gas recirculation systems, throttle and other valves as well as on-demand pumps help to reduce environmentally harmful emissions. Also on display are steel pistons and lightweight pistons with friction-reducing coating technologies and high-performance plain bearings, all helping to make engines more environment friendly. According to official Chinese sources, there were more than 240 million vehicles in China at the end of 2018, an increase of over ten percent over the previous year. This includes around 201 million passenger cars, i.e. around eleven percent more than in 2017. The production figure for passenger cars manufactured in the country itself fell last year by around five percent to around 23.5 million. However, there was an increase of more than 60 per cent compared with the previous year in so-called NEVs, i.e. New Energy Vehicles such as electric vehicles. A total of around 1.25 million units were sold in this segment. Due to the generally high exhaust pollution, especially in the cities, China has enacted several emission standards. The China 6a emissions standard for light commercial vehicles is to be introduced this year. It roughly corresponds to the European standard Euro 6 and will be further tightened by China 6b in 2023. 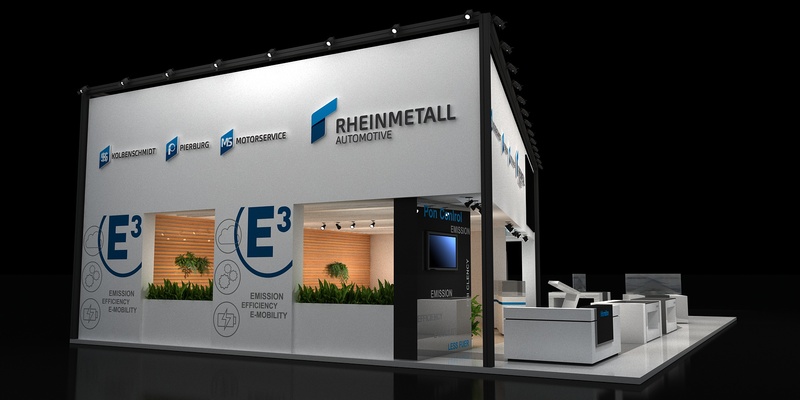 Since 1997, the Rheinmetall Automotive Group has been represented on the Chinese market by joint ventures and its own companies and is now China's largest manufacturer of cylinder heads for passenger cars. The Group currently operates a total of ten companies at altogether 16 locations in China. They include three 50:50 joint ventures, two majority joint ventures and four wholly-owned subsidiaries. In addition, a minority holding in the segment of piston rings has recently been set up.